I’ve been a fan of Florence for as long as I can remember, and have always been spellbound by her mixture of raw and unapologetic lyrics with powerful instrumental talents. Such a fan, in fact, that I bought my ticket for her tour before the album had been released, positive that she would not disappoint. So, waking up on the morning of release, I put my earphones in, loaded Spotify and waited for the mystical wave of transcendence to wash over me. 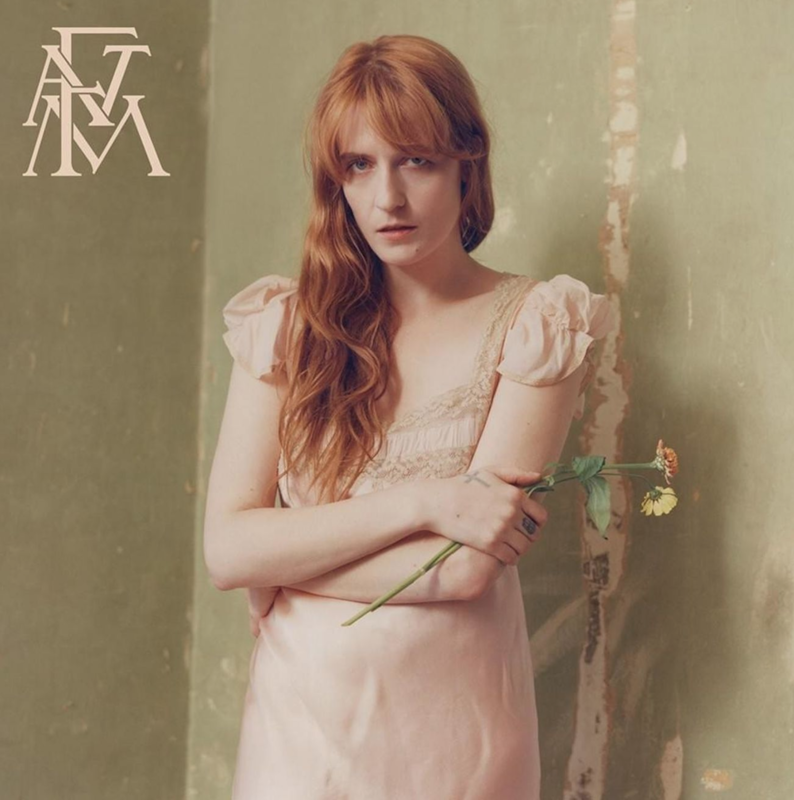 Never one to shuffle a new album, I have to say that it did take me a few listens of the album to fully experience the rhythm that I expected, nee, demanded from a Florence album. But once it was there, and once I was in the swing, oh man, – it was incredible. ‘June’ comes out of nowhere: soft, gentle with an intense choral movement that could definitely move me to tears in a vulnerable moment. With every line Florence sings, the vulnerability becomes more palpable. This happens in perhaps a less overt way than in previous work such as ‘Ceremonials’ – an album more obsessed with drowning and therefore bound to be intense – but it is certainly still there, existing within the lyrics, rather than the instrumental. My personal favourite of the album has to be ‘Big God’ – and how can it not be, with lyrics such as “I still like you the most / You’ll always be my favourite ghost”? The vocals throughout this album are consistently flawless, with Florence’s vocal talents being exhibited most evidently on this track. It is also fun to note that Florence herself claimed this song was about “obviously, an unfillable hole in the soul, but mainly about someone not replying to my text.” Which, let’s be honest, is the biggest mood of 2018 so far. Only Florence could create such a compelling beauty from something so universal and yet millennial; that in itself is her charm for this album. It is relatable, in a much more accessible fashion than her past album. Other highlights include ‘Patricia’: a track which will undoubtedly work best live – I can imagine the crowds of Bilbao festival, where FATM recently headlined, swaying along, semi-drunk and full of joy to the outro – “it’s such a wonderful thing to love” – with the sun setting along a beautiful beach, the bewitching instrumentals fading out as Florence stands, a God among people. I may be slightly biased because of my love for her, but Florence Welch is the closest thing we have to a God on this Earth. The End of Love best exhibits her sheer vocal talent set against a stripped back piano, creating a heartfelt symphony that leaves you curious as to what did happen “that summer in New York”. The lyrics read as a poem, one that would adorn the bookshelves of an indie press or perhaps online under the hashtag #poetryofinstagram – I mean all of this in the best possible way, of course. It feels particularly telling that the entire album climaxes in the lyrics “No ballad will be written / This will be entirely forgotten”. I, for one, will not forget the lyrical mastery of ‘High as Hope’ any time soon, and neither will any other listener, I hope. The new album ‘High As Hope’ by Florence and The Machine is out now. Florence and The Machine are on tour in November 2018, tickets are available now via Ticketmaster.